1. 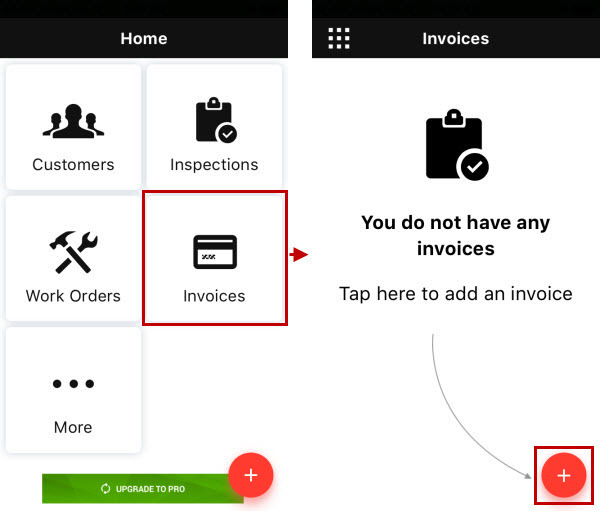 On the Home screen, tap Add, and then tap New Invoice. 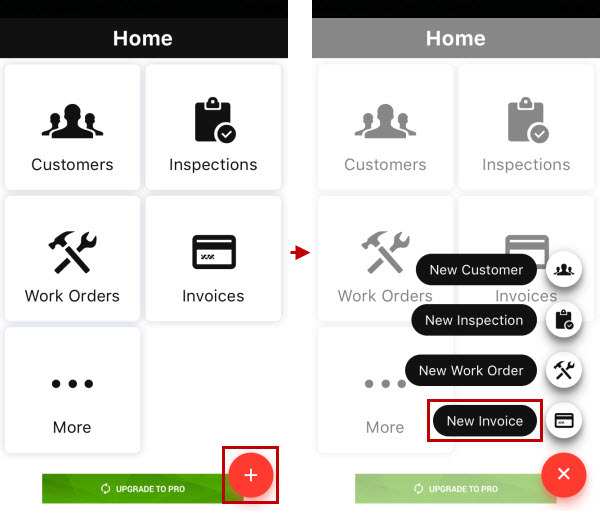 Note You can also tap Invoices on the Home screen, and then on the Invoices screen, tap Add. 2. 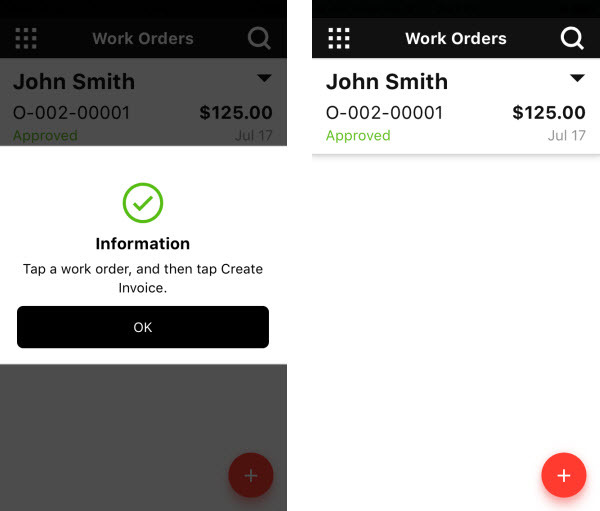 On the Work Orders screen, tap the appropriate work order. 3. 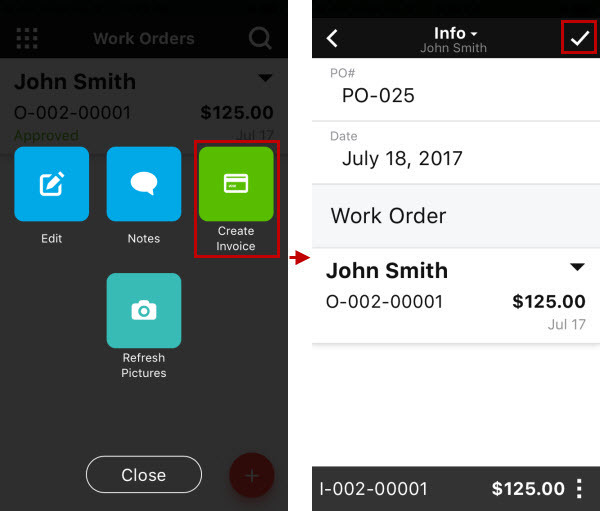 Tap Create Invoice, and then on the Info screen, if needed, type purchase order number in the PO# box, and tap Save.